Skip to talk 1 (19:07) or skip to talk 2 (44:12). This weeks show is sponsored by Fullstory and Resource Guru. Paul: Hello and welcome to Boagworld the podcast about all aspects of digital design, development and strategy. My name is Paul Boag and joining me, in fact the only person joining me on this week’s show is Marcus Lillington. Hello Marcus. Marcus: Hello Paul, yeah, it’s all a bit kind of empty in here. Marcus: Where is everybody gone? Where has everybody gone, even. Paul: And I can’t believe we are already on episode two. Marcus: Ha. I didn’t know whether you were going to mention it or not. Marcus: We’re sounding so strained because we are having to do it again. Paul: So we recorded this yesterday and it was, let’s be honest, the best episode we have ever done of the podcast. Marcus: I think it probably was. It was also the longest so people got more of the best episode ever. Paul: I know, I mean when you did that impression of Andy Clarke I was just… That was Oscar material Marcus. It was quite incredible. Marcus: Andy’s actually got a really funny accent. I struggle to do Andy because he’s kind of like, he sounds like a posh northerner. Do you know what I mean?! Paul: I do kind of know what you mean, yeah. Marcus: Well, you know. You just sound a bit, you know, farmer Mike Paul. Paul: So, what did people miss. What did we talk about? We talked about holidays for about 10 minutes, so I’m sure everybody is devastated they missed out on that because I mean there’s no better way to kick off a season of the podcast than talk about your holidays. Marcus: Well we both sort of said how chilled we were. Which was true yesterday but now we are not chilled because we are having to do it again. Paul: Yeah, so all our… So all of that goodwill from holiday has all evaporated. Marcus: We did make one good point, I don’t know who, you might have referenced somebody in the slack channel or something, you said that… No, it was people that you mentor. You were basically saying “Oh, I can never find time to go on holiday, my business will collapse, et cetera et cetera” and we said, well, I think particularly in my case because I kept putting the holiday back and the holiday back in the holiday back, and by the time it was time to go I really had had enough of work. But going away really reinvigorated me to the point where I actually started writing blog posts when I was away. So you need to do it to be able to be better at what you do. Paul: Yeah, and it was a very good blog post too. We talked about that yesterday as well. I actually gave you a compliment on the show which I don’t think I have ever done before and people missed it. Marcus: Well you did say it’s a really good blog post for you. Or something like that! Paul: Oh, did I? Did I qualify it? That sounds about right. I can’t imagine that I gave you a straight out compliments. Paul: … Well, basically you said, as I said this yesterday as well, you said “Oh, is not just about Hemingway app,” which is an app that I have recommended many times on this show. But essentially you were just slagging off Hemingway. Marcus: I can’t really defend that because I focused on Hemingway because I know it and I’ve used it a lot. I know there are other readability apps out there and I suspect, I think I said this in similar terms in the post, that because they are automated, and this is the kind of fundamental issue behind it all, that they will all have similar issues. They won’t all be exactly the same, no, of course not. But what I am really saying is that if you can write then trust your own judgement. You just need to make sure it is clear. It doesn’t matter if it is in short sentences or long sentences, it doesn’t matter if you split the logic at any point in that sentence as long as you are taking your reader with you and it makes sense. That was kind of the bottom line of it. Paul: Yeah, I mean the biggest way, and I didn’t say this yesterday, but the biggest way I use it is a way of demonstrating to people that think that they can write because they write academic copy or marketing copy or proposal copy that they can’t necessarily write particularly well for the web. And that the two are a slightly different discipline. Because although I did agree with everything that you said in the article for me it comes down to that… Hemingway encourages scan-ability, it encourages you to be able to scan copy without actually reading it and still know what is going on. And I think that is a worthwhile thing. But it is like any automated tool, isn’t it, like even the accessibility checkers back in the day you have to take them with a pinch of salt. You know, yes, they’re going to make some recommendations but it doesn’t mean that you have to do all of their recommendations. Marcus: No, but I think people… I guess what I’m saying is if you make it part of your process for writing then you might end up just doing everything it says. And what I’m saying is you need to take it with a pinch of salt. Which is what you’ve just said. But one thing that surprised me because I just used an example sentence that I had written previously and then talked about it within the post. One of the things that it forced me to remove, it didn’t force me but you know, if you are trying to get rid of the stuff that it says you should, it actually made the sentence make less sense. Marcus: It is debatable but I think it did. So yes, okay it might make something more scannable but if it… If you are not getting your message across as well by making it simpler then maybe it’s not good. I guess. Paul: I mean there are other, there are other tools available. I sound like I am on the BBC now don’t I? But there are other tools out there and one of the ones that I have started using more instead of Hemingway. Because Hemingway feels really harsh, you know, it really goes for it doesn’t it. And the other thing about Hemingway is because it colour codes the entire section, the entire line, it makes you want to remove it even if it is not applicable because it is this bright colour. Marcus: It’s a game. You have to get rid of the yellow and the red. Paul: Yeah, it’s a bit like notifications on your iPhone, they annoy you don’t they. Marcus: Absolutely, all little red blobs must be removed. Paul: Exactly, yes. While Grammerly, which is the one that I have started using. For a start it is a lot more forgiving. So for example, I took your post, the post that you wrote, and put it through Hemingway and obviously, and I imagine intentionally, the whole thing kind of went various colours. Because you were trying to demonstrate a point. I put the same thing through Grammerly and there was hardly anything. So Grammerly is a lot more forgiving. The other thing about Grammerly is that you can ignore things. You can say “No, that’s fine the way it is” and then it goes away. So don’t feel that same pressure to kind of accept everything that it says. I mean in Hemingways defence it does say on the right hand side, “We’ve highlighted five adverbs, try to aim for less than eight.” In which case that is fine, you don’t need to remove them but there’s something about the way that the interface is designed that makes you feel you have to. Marcus: Yes, you have to get rid of them. Yes, and also with the list of adverbs… Adverbs and passive voice, it’s just pulling from a list its got in its database of these are all the adverbs and sometimes a word like clearly, say, is an adverb, “I clearly understood that” when you could just say “I understood that” but writing clearly is not an adverb. And it will still highlight it as one and suggest that you remove that. So you know, it just gets it wrong on occasion. Paul: Which accessibility, sorry, I’m going back to the accessibility checkers back in the day, the automated accessibility checkers, they did exactly the same thing. You could put in an alt tag and leave it blank and it would pass. Paul: Yes, so it’s things like that. So yeah, with all these tools you have to use a bit of common sense don’t you. Paul: Yes, you mentioned that one yesterday, I like it a lot. That’s going to be a fun one, I’m looking forward to that one. Marcus: I still don’t know the answer. I am writing my way through it. Paul: Yes, I know that feeling, I’ve done that a few times before. And there’s nothing wrong with that, it’s okay. Marcus: Yeah, it’s just the fact that I have been kind of using the argument with clients quite a lot lately of they are only good for one thing which is… You know, they can solve an internal politics problem by hiding content that you have to show because somebody who is more powerful than you internally insisted that it is there and it is not worth the battle to go through it. And I am using that in a kind of negative way, so that’s why you don’t want one. But then I started thinking about that is actually a really good reason to have one, are there any others? So that is where it all came from, that’s the exploration that I am doing and hopefully will get that out in the next week or two. Paul: Yeah, that’ll be good, I’m looking forward to that. It’s funny isn’t it how holidays bring about a blogging spree. I had the same thing. I came back and I managed to write something like 1800 words on how to have a holiday when you are a freelancer, going back to what we were saying right at the beginning about these people that say “Oh, I can never manage… find time to have a holiday,” or “I can never make it happen.” I end up writing 1800 words on that which I think is over-the-top really. For something that simple but you know, there you go. That’s holidays for you. They inspire you. Marcus: What’s your view on keeping up with work when you are on holiday? Paul: Well that’s really interesting. I talk about that in the post, I actually… You’d think me being the kind of person I am I would say “Walk away from it entirely.” But I actually don’t do that. I have a… for a start I only take a smart phone with me. I won’t take a laptop or even an iPad because they are big enough to do something useful on! So while an iPhone allows you to keep up and kind of just be aware of what is going on via email but not actually do anything too useful about it. You don’t feel kind of… You don’t get sucked in. But my problem is because I am a worrier, if I don’t keep up with it, if I don’t know what is going on I just presume everything is on fire and I am doomed when I get home. So actually it just leaves me more depressed. The other thing that I do is because I have a particular out of office notification which says “If you are a client or a potential client I will reply to you when I get back. But if you are anything else, if it is any other kind of enquiry please email me again when I get back from holiday otherwise I am not going to respond to you.” So that means that when I go through I tend to look at it about once a day when I am on holiday and I can just archive a whole load of stuff because I don’t need to reply to it. Also, you can then archive the stuff that is just for reference. You know, you just give it a quick scan, “Oh I don’t need to reply to that, archive.” Then when you get home and you get back to work you don’t have anywhere near as much stuff to deal with. Which is got to be more pleasant hasn’t it really? Marcus: Yeah, this particular holiday that we just went on, because I was kind of totally hacked off with work before we went. I said I am not going to look at any emails, I am not going to keep up. I did say to all the guys here before I went that if there were any major issues then text or phone me up, I would have to deal with that. I would rather deal… I don’t want something to fester while I am away but after about three or four days you just end up looking at your email and going “Oh, it’s all fine.” But what I tend to find is that you get so much crap in email you can just go delete, delete, … Leave that one till I get back, delete, delete. Marcus: Do what you like, yeah. But interestingly, sorry there’s one more point about the post I wrote about Hemingway and the readability apps. Ian… I came back from holiday saying “Yeah, I’m so chilled and so relaxed” and then Ian pointed out that the first thing that I did was publish a blog post about being really annoyed. Paul: Yeah, that’s true actually. It was a rant. Marcus: Hmmm, so maybe it is all just lies. I’m just lying to myself, I’m angry all the time. Paul: Well, we are of that age aren’t we! We are supposed to be dissatisfied with the entire world and everything in it. Marcus: Yes, they are all idiots everyone. Paul: Exactly. So, we ought to talk about this season. Paul: Because it is going to be quite a, well, I think it’s going to be quite a good one. I’ve got mixed feelings over it. So I think I have got more stressed about this season than I have about any other. So what we are going to do, we’re going to do something a little bit different, we are going to do an open mic season. So essentially each week we are going to have two or three talks. Judging by the amount of preamble that we are doing on this week’s show, probably just two! From anybody, anybody can submit a talk and I’m not really going to apply any editorial control over these talks whatsoever. There are some very, very basic limits. It can’t be self promotional, it can’t last more than 15 minutes, it can’t be insulting to anyone and it has to be vaguely about web design. Oh, and I suppose it also has to be decent audio quality, at least listenable to. Marcus: So loads of rules and caveats then. Marcus: How many millions of people do listen Paul? Marcus: What, just 1 million? Paul: Yeah, yeah. In the low millions! Let’s put it like that. But on the other hand it’s not scary. And you know what, I’ll be honest with people, I always avoid talking about numbers to specifically. I don’t know why, probably because I am ashamed that they are lower than they are because these days there are so many web design pod casts and less people listen to podcasts so compared to our heyday when I think it was about a 100,000 now we’re at like 7000, 8000. But that’s a good audience, it’s a reasonable size so it’s worth your time from a kind of brand building point of view because we do talk a little bit about you after your talk. But also it’s an opportunity for you to kind of have a practice run really. Because you get to write a talk but you don’t have to give it in front of the big audience so if you mess up you can just rerecord it. So I am hoping it is going to encourage more people. We are beginning to get some talks in, we have got ample space for new people so if you submit a talk almost certainly you will get on the show. Even if you don’t get on the show I am going to post it to… all of the talks to the blog post, my blog as well. Which gets almost as much traffic to be honest as the podcast does. So you know… Well, it gets more traffic. So on that basis it is worth doing and you can find out more about how to submit it and all the process and all the rest of it and Boag.world/season18. Now, that’s not Boagworld.com, a lot of people get confused. It’s Boag.world/season18. So there you go, that’s the premise of the season. Now, ironically bearing in mind that the idea for the season is to encourage new voices the very first person that we have got speaking is an old voice. No offence to him but he has been around for a long, long time and is actually a well-known speaker and we have had him on this show before and it is Gerry McGovern. Now, in my defence the only reason he is going first is he was the first person to submit a podcast, so there we go. Marcus: A talk in, not a podcast. Paul: Oh yeah, talk. Yeah. So as a result he gets to go first and that’s just the way it is. So shall we click kick off with Gerry? What is it that differentiates the genuine leaders in digital? It is a true customer obsession. Whether it is Amazon, Google, Airbnb, Netflix, slack, Zapier, Facebook. Whoever it is that is truly leading in this space they have an obsession with the customer, they organise around customer. They focus on them, they think about them, their culture is customer driven. Amazon, its number one principle is true customer obsession. Google says focus on the user and all else will follow. Apple says truly understand customer needs. Facebook is regarded as the most customer empathetic company in the world. Zapier says provides the best possible customer service that you can, and Slack talks about making work simpler, more pleasant, more productive. These companies integrate with the customers, they don’t see the customers as separate from them, as some outside element. In the old model of management there was a clear distinction between the organisation and the customer. The inside and the outside. And there were functions and activities that occurred inside and most of these were siloed in their own worlds. You know, communicating, telling stories, producing, selling, researching, supporting. These sorts of internally very much figured out and focused on within their own silos and then out there in the marketplace the customers are supposed to listen, they were supposed to do their own research to buy and to use and to maybe talk about and give some feedback. But what happens in these new environments is much more an integration, a coming together of buying and selling and researching and integrating and mixing up. Slack, their current customers drive a lot of their actual sales. Social media is basically marketing for the current customer. The customer is saying that they like it or they don’t like it or anti-marketing or whatever we want. But there is much less of a clear line between the organisation and the customer. There is much greater focus on basically an integration of the customer and the organisation into a single type of network. So traditionally organisations measured what they did, their inputs, their materials, content, code, time, projects, stuff like that and didn’t really measure so much the outcomes. Yes, they did measure purchases and stuff like that but they didn’t really measure what the customer was doing, the tasks, the time that was taking the customer, the satisfaction, the loyalty. Over time, over the last couple of years we’ve seen things like the net promoter score et cetera being much more focused on understanding satisfaction. But outcomes were not historically measured as much by traditional organisations, they were very much focused on measuring what they did. Also they felt much more in control, the customer was subservient to them. That they could control the message to marketing or PR or advertising so that the customer was in their control they just needed to find the best way to control them. Where as in the new environment we see a shift in power, more probably a balance of power where customers are getting significantly more power. It is not that they are now more powerful than organisations but they are certainly not less powerful. They have the network, the web and social media has given them a platform within which they can organise among themselves and they are doing that very frequently. Also in traditional organisations you had a lot of focus on the potential customer. A lot of the orientation was that it took the current customer for granted and that once you got that customer you didn’t need to worry so much about them any more. But really the big major focus of the organisation was on getting new customers, growth and the energy and the energy of marketing et cetera was very much focused towards potential customers whereas the shift in the new organisation, the new network, the Slacks of this world, the Amazons of this world, are very much focused on their customer current customers so there is a current customer obsession in this new world. A real focus on how do we make it easier and simpler for the customers that we already have? That is a very significant shift that many organisations are finding challenging. If you look back to the 70s and you see, where was value? Where did value reside within the marketplace? A great deal of that value resided within the physical assets of a company or an organisation. So, its factory and its machines et cetera and the land it owned made up to 80% of its actual market value so to speak. But from the 70s onward that market value has significantly shifted away from physical assets much more towards what are called intangible assets. Which are like intellectual property and brand and also the customer base. So there has been a big shift so today in 2017 it is much more intangible assets are about 80% of the value of a typical company and only 20% of the value resides in the physical assets. Within those intangible assets we see a shift Harvard Business Review has written about how the shift in the importance of the customer value has risen and in that classical understanding of the brand value has declined. So that brand value, even though we should know that brand should mean much more than just that name and logo and advertising et cetera, et cetera. But even that has declined in many organisations and there is a rise in the current customer value. We see a shift, of course driven by the social media, where social media is much more of about me and my friends than me and my brands. And what is happening on social media is it’s not really the potential customer space that is driving social media. People go to social media and they ask people who already own the product, who already use the service, what do you think? So you are not looking for a potential goal. “I haven’t been to New York but I think it’s great.” Well, you are probably looking for somebody who actually has been to New York on a vacation and thinks it is great. But in the social media space there is much more an orientation towards the current customer. We see in many areas the value that is now being driven out of better and simpler customer experience is improving market performance and value of organisations. So the future is about making life simpler for the current customer if we want to drive value within this new environment. According to Adobe marketing magazine 80% of your future profits will come from just 20% of your existing customers. And they have found in many situations huge value. Repeat customers spend 30% more than existing customers and 10% increase in customer retention yields a 30% rise in the value of the company. So the next big wave is going to be very much oriented towards making life simpler for the actual current customer. Yet what happens in most traditional organisations, there is a recognition that the current customer delivers value but they are taken for granted. There is an acquisition cost which is very much focused on getting that customer to join. Then when the customer joins there is going to be some repeat business, there is going to be cost reduction because you don’t need to reacquire that person so the cost of maintaining a current customer is less than the cost of acquiring a potential customer. And then all things going well they won’t just repeat what they have bought from you, they will buy more stuff, they will buy more services. In a good world that is going good they start referring and they start telling other people “Here’s what traditional organisations do as well,” they then start overcharging, they start charging premiums to their current customers making it more expensive for the current customers because they feel that they have them. Now sometimes they are doing that because they are delivering a better service but often times it is not true so they exploit their current customers because they treat them and they see them as a cash cow. But what happens in the digital landscape is that when you start overcharging or delivering inferior service for a very expensive price the chances of you losing the customer are significantly greater. And of course when you lose that customer they can talk about you within their social network. So the digital loosens everything up, switching costs are greatly reduced particularly when you are dealing with the service rather than a product you can shift that service very easily, you can move from dropbox or whatever high-tail, certainly there are some issues and stuff that you have stored but the ease of doing that in comparison to you having stuff in a physical environment are greatly reduced. So there is significant switching that is occurring and of course people are telling about their bad experiences and statistics show that people tell far more about their bad experiences than they do about their good experiences in this world. So the future is very much about making life simple for the current customer, the value of the organisations that we work for going forward will be driven by really improving that experience of our current customers. Now, creating that true and genuine obsession with the current customer is where the greatest value resides in the digital economy. Paul: Okay, so that was… It’s always great isn’t it hearing Gerry speak. I like Gerry. Marcus: You must really like Gerry because basically he says all the same things that you say! Paul: Well, that’s very kind of you to say but I think it is more strictly true that I say all the same things that he says. In other words I just rip him off horribly. Marcus: Is that true? Who came first, Paul or Gerry I wonder? 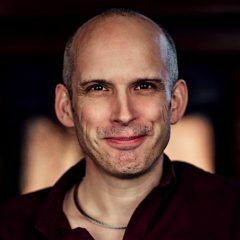 Paul: I think Gerry and Jared Spool, who are both talking about this kind of stuff before I was, have been fairly influential in my last two books, let’s put it like that. Paul: I’m not saying I plagiarised them. Marcus: You’re riding the same train. Paul: I’m trumpeting the same tune. I don’t know, let’s go for other stretched metaphors. But yeah, absolutely, he talks so much sense to me. Paul: Now, you had a problem with him when we talked about it yesterday. How dare you! How dare you Marcus! Marcus: Too strong. I was trying to find something that might just sort of, you know… A little speck of uncertainty may be. Paul: You see, I think you have started this season off on entirely the wrong basis. Paul: Because what you have done is you have essentially said to anyone who submits a talk “I Marcus Lillington am going to rip apart anything that you ever say.” You are the what’s the name, what’s the guy from The X Factor? Marcus: Oh, I’m Simon Cowell am I? Paul: You are the Simon Cowell of web design podcasts. Marcus: I don’t think you can insult me more. Paul: Well you said you liked Simon Cowell because he liked one of your songs or something. Paul: I think the reason that you’re not saying it so strongly as you did last time Marcus is because I shot you down so thoroughly. Didn’t I really? I pointed out two fundamental problems with your argument. First of all I pointed out that, I think I described them, I thought this was a good analogy wasn’t it, as an oil tanker, right? Which is that an oil tanker can keep ploughing through and keep going because of its size and momentum even through choppy and difficult waters but the downside of an oil tanker is that it takes a long time to turn. So to strip away that analogy that probably doesn’t really help very much I think a large company can survive when things change, like digital has changed, simply because they have got a lot of money and they have got a lot of reputation behind them et cetera. But the downside of that is that if that change continues to grow it will eventually in time overwhelm them and if they don’t start turning now, if they don’t start changing now, then they will turn to slow, they will change to slow because it takes a long time to change a large company. So that’s why you are seeing many, many more progressive larger companies actually beginning the process of digital transformation and adapting to be more customer centric even though maybe they don’t need to in the short-term they will need to eventually so you can name. So you can name people like General Electrics, IBM, Disney, Starbucks, the British government. All of these organisations are adapting simply because it is inevitable at some point and it is going to take those companies longer than others. Marcus: Yeah, I think in the case particularly with Nestlé it is just the fact that they don’t have a very good rep in many countries in the world and yet they are still making multi-billions but yes you are right, everyone is going to have to pay attention eventually. Marcus: Some of the world, Western world. Paul: Well, I think it was even less and that wasn’t it, Britain and America I think? Paul: Oh, was it Europe? All right. Paul: Okay, but there you go. So yeah, big companies can weather a lot and I think they can’t ignore it forever, you know the world is changing. So yeah, I thought it was a really good talk. There were several things that came out of it for me that I particularly liked. I mean obviously I liked the organising around the customer bit and that idea that companies need to change their business silos and that they are to internal looking. But I think what really… I think the big one, and this is one that applies particularly to larger organisations, is the shift in power. The shift in power away from businesses to customers. We have seen that just in the last couple of months, big PR disasters for Pepsi, big PR disasters for United airlines. You know, the United airlines is a great example. Paul: Yeah, because in a pre-digital world very few people would have heard of that. Marcus: I think… Well, yeah in that particular case I think that was so bad it would have made the papers but… Ooo, I’ve got a weird sound coming from outside… Yeah, that one would have made the papers but obviously it makes you realise that probably somebody not standing up to the bullying that that guy did would have just been ignored but nowadays anyone can turn their phone on and show what is happening so yeah. Paul: Yeah, and the other thing that I really liked from Jerry’s talk, again, I don’t know whether… I don’t know, it is an interesting one. I’m going back to your point in my head. He said, he talked about how companies need to focus on their existing customers rather than just giving incentives to new customers. Which instantly made me think about banking and insurance where the price goes up and you got into a good old rant didn’t you, last time we recorded this. Marcus: I did, I got really quite cynical didn’t I. Yes, it was about car insurance because my feeling on car insurance, because you will pay a low premium and then you will get a reminder the following year from your insurer that has basically tripled your premium and you go “Wow, it can’t possibly be that much.” It all feels like this game that you then have to go to the price comparison website, find a lower quote, ring up your insurers say “They can do it for this and blah, blah, blah.” But I refuse point blank to contact my current insurer if they come back with a ridiculous quote. And I feel like I am being Raaa by doing that, I’m standing up for the consumer. But when I was thinking about it when we were talking about it yesterday I started thinking that maybe they know that that’s what a bunch of people do but it’s still in their interests at the moment to do these kinds of ridiculously high premiums that come back because some people are lazy and they won’t check it and they will just carry on. Which is depressing. Paul: It is, it is. And I… You know. We’ve spent far too long, do you know it’s half an hour already and that’s not including the talk so we probably ought to move on. So let’s talk about our first sponsor because we have got some great sponsors this season the first one is Resource Guru which is a cloud-based resource scheduling tool. So it is used by companies like Saatchi & Saatchi, Razorfish, Cisco, Headscape, you know, big names like that. Marcus: Headscape, yes, big names. Paul: Yeah, important, influential companies in the world. Marcus: I don’t do that! Marcus: Yeah, for any price! Any time, you can have whatever you want whenever you like. Paul: Just, if you ever hire Headscape never believe a word that comes out of Marcus’s mouth. Always check with Chris first! Paul: It is lies, but it’s funny! So if you want to find out more about Resource Guru and get started with it you can do so at http://resourceguru.io/boag2017. You get a 30 day free trial which everybody gets but if you use that code Boagworld2017, when you have actually finished that 30 day trial and you are subscribing you will also get 20% off of your account for its life. Which I think is a bloody good deal really. But as Headscape have already signed up they don’t get that deal so nrr nrr nee nrr nrr. Marcus: But what if we un-sign up and then sign up again? Marcus: I don’t know, I can’t remember how much it costs. I think it’s quite pricey but it’s worth it. Paul: Don’t say that! It’s good value. Marcus: … But worth it, but worth it. Paul: Very well recovered. Do you know I forgot to say where you could find out more about Gerry. We ought to say that because that’s kind of half the reason people do these things isn’t it. So if you want to know more about Jerry, Jerry is the guy who came up with top tasks which is a management model for customer experiences. It kind of helps you identify, measure and improve the tasks that customers actually want to do. Marcus: Which we have used. Marcus: We have used his methodology. Paul: Oh yes, I use it all the time. Crikey, yes. So yes you can find out more about Gerry at customercarewords.com or you can follow him on Twitter @GerryMcGovern. And that’s Gerry with a G. All of this is in the show notes anyway. You know this. So we come to our next talk, which is from a gentleman called Pablo, thank you Pablo for submitting a talk and being the second person to do so, well done kudos for that. He’s got a really good talk actually a really good talk about investing in people. Play talk at: 44:10 – Investing in people is the best way to create great agency culture. In this lightning talk I cover the 5 things that I think are important in investing in people the right way. Hi, my name is Pablo Alejo. Today I want to talk to you guys about investing in people. And the five things that I think are important in making that happen. But first why is this even important? Well, I believe that if you want to create the perfect working environment it is better when you are doing it with people that you love being around and creating that type of culture isn’t something that is just automatic. You know, in my experience I have been many places where environments that are created have nothing to do with people wanting to be there it is more about people having a job or “I’ve got to feed the family,” or something that is very tactical. But it is not about fulfilment and I believe that we are on this earth way too short to be somewhere where you’re not fulfilled. So here are my five things that I think are important. The first thing without a doubt is loving people. If you don’t love people then really the rest of this isn’t going to be that helpful but if you are one of those people that you just tend to care about others then this is for you. I think that loving people, caring about people showing interest in others is the most effective thing to do. And it has to be genuine. You know, there are a lot of people out there that just don’t know a lot about technology or music or anything really but the one thing that everyone is great at is human authenticity. Unless you are just really gullible but for the most part people are able to detect whether or not someone is genuine. So if you are not a genuine person, if you do not have the capability to truly care about others then, my man, my lady, there is something completely out of my range of scope. But it has to come natural, if that is a problem for you then, yeah, I’ve got nothing for you! But for those who are in this wheelhouse then here are the other things that I think are important. Number two is making time. There’s this phrase that I have heard in movies and in life, you will never have time if you do not make time. And I think that is extremely important. If you think something is important in your life you will prioritise it. For me investing in people is very important so I prioritise. Normally I do this at work so it is something that I can do within the standard work hours of the day. But it is usually better if you can do it outside of work which I have found tends to happen. So for me it tends to be taking people out to lunch, that way you get them out of the building, you get them out of the environment and you give them somewhere where it’s a lot more comfortable, it’s a lot more conversational. Because that’s all this is it is conversations. You have to know who people are, you have to learn about what motivates them, what are their fears and what are their dreams because if you can understand that it is your job to kind of make things happen. So, make time it is something that I find hard after work but during work I try and figure out ways to do it. But if you truly care about someone it doesn’t matter what time it is. 3 AM, 9 PM, 7 PM it doesn’t matter, you will find ways to make time. So, try to think about that. Number three. This one is a little bit, I would say, unorthodox but it is focusing on others success before yours. Now we live in in industry where… And actually we live in a culture where it’s all about me. Look at US politics is a great example of that. But if you can focus on others’ success you will always be successful. Now that doesn’t mean that you will get a big raise, it doesn’t mean that you will get a great title but it means that you will be someone that others care about. In my life I have been fortunate to have met so many wonderful people in work and work with so many great people and a lot of those people were’nt always great. They were… Some didn’t have the positions that they wanted to be in or didn’t have the opportunities to grow and my job was to find ways to do that. And I was fortunate to do that. As an example, let me tell you about this guy his name is John. John was an IT technician so he would work on everyone’s computer and John showed a tremendous interest in learning web development so he and I started working together and I realised he was brilliant. The guy he just got it, he understood how to think from a programmer’s perspective and he understood how to break things down. He did it at such a high rate that I was actually kind of intimidated but he and I worked together and I found a way to bring him into the web team and he started developing and became the… soon to be one of our best developers at our agency. And it was because he had passion, he wanted to learn and he was just like a sponge he just soaked it all in. And that, that was just tremendous. Now he is a lead developer at LinkedIn and is working with them to do really great things. But he’s not the only one I have seen and that happen to and you know, that is just a small story about things like that that can happen with anybody. And I think that is a very important thing. The last thing I want to talk about is finding diamonds in the rough. I think that that is probably the hardest thing. When I look around in any agency that I have ever worked at there are stars, there are people who are just brilliant. They come from great schools and they are just extremely intelligent, they have the really cool trends and they don’t need as much help. Now, I do spend time with them because when I can help someone get a little bit better that’s great. But I tend to find my biggest, proudest moments from helping people who aren’t necessarily the best of their class or people who just want it but don’t have the opportunities to get there. So I think that letter one is really the key. What I try to do is figure out which people want it and which don’t and I really invest in those. As an example I once worked with a guy’s. His name is Joel. Joel when I first started was just a dev, he was good but no one really went out of their way to talk about Joel. The thing is Joel was actually really great, Joel was an introvert kind of person so he wasn’t loud and boisterous which for me that’s hard. I am extremely loud you know, and so I tend to gravitate towards people who are loud. But Joel was very reserved and what’s funny is that Joel I expect was judged mainly because of the way he looks. You’ll see Joel, he has tattoos everywhere, big hoop earrings and he just looks like a punk rocker. And in this industry it is becoming more and more acceptable but even in our group Joel stood out. Hell, I’ve got earrings I’ve got tattoos but there was just something different about the way Joel did it and I loved that because Joel was just so unique and true to himself that it didn’t matter what anyone else thought and I dug that. But Joel and I started working together and I got to really know Joel and understand what made hi, tick and what opportunities he needed. So he and I worked together and he led a team on a very hard project to a point where we actually ended up going over budget and we were way behind on the time. Now, it wasn’t because of the team necessarily but it was really just some unfortunate circumstances that led to this. But Joel got to a place where he cared so much about his team that he cancelled his vacations, stayed in a hotel near the agency because he was working so long every day to help get this project done and he did everything he could to support the team that he was working with. It was that type of sacrifice that just blew me away, he now leads a team at an agency as a tech director and is flourishing. Now, I don’t know if without me he could probably have done the same thing. The thing is Joel had that in him but I am glad to think in my own crazy way that I had some part of that and I just love watching people grow and I think that is great. But I think in our industry we are looking for rockstars to automatically just appear that we forget that it is sometimes our job as a leader to try to make rock stars. I think that sometimes does not happen. So, in closing let me kind of tell you what I look for when I am trying to find somebody to invest in because the truth is that not everyone wants your time, not everyone wants you to care, not everyone wants to be better and so you have to really try to find those people that want it and there’s a mix of real passion and real, you know, work ethic to actually do it. There are a lot of people I know that have tremendous passion about things but they cannot follow through. But then there are lots of people who have tremendous work ethic but they just don’t care. So you’ve got to find that mix of both but when you do find that I promise you that will make a massive difference. So find those people, create a relationship with them and help make them great. The best part about this entire topic is that you do not have to be a leader to do it. It doesn’t require a C suite name, a director, a lead, a senior. It doesn’t require that at all. If you are an intern if you are a beginning developer there is someone that you can mentor. It might be a high schooler, it might be 4th grader. It may be someone much younger than you, someone who doesn’t have as much experience as you or it can be someone who is much older who just wants to learn about what you are doing and you have that opportunity to invest. That is the key, if you want to wake up every day excited about where you are going to work, excited about the people that you are going to work with this is how you do it. Find people that want what you want which is to make great work, to do something special, to make the 9-to–5 better and if you do that and if you invest in those people it doesn’t matter what your title is you will be a leader because a leader is really just about influence and this is how you do that. My name is Pablo, thank you so much for your time. If you want to learn more about it is Burns marketing.com. If you want to learn more about me you can find me at artcopyandcode.tumblr.com or you can find me on Twitter @pablitoalejo. P A B L I T O A L E J O. Thank you so much for your time you guys have a phenomenal day, be blessed. Peace. Paul: Okay, so that was Pablos talk on investing with people. Good one wasn’t it Marcus. That’s two good talks for our first show. Yay! Marcus: Exactly, yes. I sort of worry about that people would be worried about standard and like “Oh, they’re too good!” But you know, very different topics so maybe it’s just showing that you can talk about whatever you like but my favourite quote from Pablo was that you have to love people, Paul. Otherwise don’t bother. Paul: Yeah, you implied yesterday that I don’t love people. Marcus: Yeah, because you had to go out on your own because you couldn’t face being with people. Paul: Well exactly. If you can’t work with other human beings work by yourself then you’re covered..
Marcus: Yeah, which I couldn’t do. I would really struggle to do what you do but you know, each to their own. Paul: It’s not that… I hate admitting this but I actually do miss you guys quite a lot. Paul: I think that having that third party to bounce ideas around with is really valuable and so yes, it is difficult at times but you know, I know you guys are always there if I need you. Marcus: We are, that’s true and you’re going to come down and see us next week which is great. Paul: I am! Which is going to be really nice, so that’s really exciting. Yeah, there was a lot that Pablo said that I was thinking was really good. Marcus: A lot of it resonated with me definitely. Paul: Yeah, I was particularly in favour of the taking people out to lunch bit! Marcus: Yes well me too because then you get a free lunch for yourself! Marcus: That’s not the right thing to say is it! Paul: Yeah, top management tip, always do your appraisals in a pub or in a restaurant because you could eat out free all week if you did that. If you had a big team even longer. Marcus: I think you’re being a bit cynical therefore there Paul. Paul: I’m not being cynical. I’m being greedy. Marcus: Which is kind of true, yeah. Like is too strong. Paul: We had some people that weren’t the right fit. Paul: And we had some people that, to be frank, were unhappy to be there. Marcus: Yes. Pablo mentioned you know, some people pull other people down and that has happened in the past and it is really depressing and what do you do about it?! Other than, well what he was saying about encourage them to leave! Because you are doing them a favour by doing that and yeah, there was a lot of stuff in there that resonated and made me feel, you know, doubly happy about where Headscape is now because we do all really get on and pull together which is fantastic. Paul: I liked the whole bit about not looking just to hire rock stars but instead to create them. You know, that nurturing the people in your team, giving them the support they need even if ultimately that means that they progress their career and leave, you know, I think it will create a happier working environment, you won’t have prima donnas and you can then hire based as much on whether they are the right cultural fit as to whether they have got the right skill set because you can train, you can teach skills it’s harder to teach personality. Marcus: Look at me, look at me, look at me. Paul: Yeah, exactly. Good for him, at least he’s honest. You can’t knock that can you. So you can see his agency site at burnsmarketing.com. His personal site is at artcopyandcode.tumblr.com. And his Twitter ID, I will spell it to make sure you get it right, is @ P A B L I T O A L E J O. And I’ll put all of that in the show notes obviously. Okay, so let’s quickly move on to our second sponsor. So we are doing really well, there are two sponsors both of which we use between us. This one is FullStory. So I have FullStory running on Boagworld and it is used by, you know, some other small companies like dropbox, Proposify et cetera as well but mainly it’s on Boagworld which is all you really need to know! So what this does, I mean, it does lots of things and we’re going to get into it in more detail may be over the coming weeks but it’s like an analytics package but with some really cool features and I will get into all of those features in more depth in the future. It does things like you can see where users have rage clicked. In other words where they have kind of clicked continually. You know, “Why is this button not working?” Yeah, like that. It will tell you when people have clicked and it has thrown an error. It will tell you when they have clicked on a dead link that goes, doesn’t go anywhere. So all of those kinds of things, all the things that frustrate a user it kind of shows you all of those kind of things. It also lets you get high fidelity session replay. So it lets you take notes, so you can actually watch back a user session and see the user session played back so it means that you can actually watch users as they are moving around the site, watch what they are doing, how they are getting on, those kinds of things. You can even make notes on those sessions as well. Here’s the amazing thing, if you see an error gets thrown you can actually go in and inspect the code and find out what has gone wrong which is mind blowing, it actually records the whole Dom, you see. You can… It’s got some really powerful search facilities into it, all kinds of good stuff. Anyway, we will get into it more in the coming weeks but if you want to give it a go you can do so by going to FullStory.com/Boag. Now, you can get a free month of their pro account, okay, if you go to that URL and you don’t need a credit card or anything like that to sign up. How refreshing is that. So you’re not going to get to the end of the month and then they are suddenly going to start charging you. So you can sign up, try the whole kit and caboodle free for a month. Now, at the end of that month you can either obviously sign up and pay or if you’ve got a smaller site you can continue on for free because up to a thousand sessions per month it will record free of charge so you can still get loads of valuable data out of this irrespective. Which is great. Absolutely wonderful product. We had them on the show as a sponsor a while back but they didn’t have that free account at the time so that’s very, very cool. Okay, I think that about wraps us up Marcus. Have you got a joke for us? Paul: Obviously I heard that joke yesterday. Marcus: It’s a good one isn’t it. Marcus: Oh easy, you know what I’m like Paul, my quality of jokes. Paul: Exactly. So there we go people that this week’s show. I hope that you have enjoyed the new format, I hope that it was something that you find valuable but more than that I hope that you will submit a talk. We’ve still have a lot of talks that we need to fill up the season and if you remember, you can find out more about that and submit your owned talk at Boag.world/season18. Don’t be put off by the really high quality of talks this week because I think you will produce a much higher quality talk than you think you will. I think people all suffer from imposter syndrome and you can’t judge… And if you’re really worried about it, if you’ve got questions or concerns let me know, you know, write to me at paul@boagworld.com with an outline and I’ll be honest with you, if I think it will work I will let you know. Even if you submit a talk and you really are unsure as to whether it is any good. Say you are unsure, say you don’t want it included in on the show unless I think it’s good, I will listen to it, I will review it and I won’t run it if I think it is poor. But that is entirely up to you. I will include anybody’s, I don’t want to be kind of “the judge” if that makes sense of what’s good and what’s not but if you are feeling insecure about it I am happy to take on that role for you. Marcus: I’m the judge Paul. Paul: I am the judge, I am. Marcus: I am Simon Cowell. Paul: Oh yeah, you are Simon Cowell, I forgot. Exactly, Marcus is going to review them all. Personally. Marcus: I will listen to them all. Paul: Of course you will, will have to. All right then, thank you very much for joining us this week and we will speak to you again next week, goodbye.